Global Plastic Sheeting helps customers with their feed storage needs providing high-quality silage bunker covers, hay covers and grain storage covers. 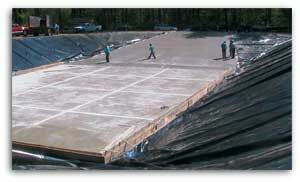 Our large custom sized one-piece plastic sheet liners are designed for ease of installation and to control waste seepage contamination as well as fresh water containment for on-farm use. Have the urge to talk about plastic sheeting? Hey, so do we!